“Walsh Heritage” is compiled from recollections of stories told, family biographies, official records, and preserved copies of newspapers. Biographies of pioneers were collected over a period of eight years by the Walsh County Historical Society. However, it was not until January of 1975 that concrete plans were made for this Bicentennial project. At that time the Walsh County Historical Society officers named a committee of nine to serve as chairmen for each area. “City of Grafton Illustrated”, a publication by William L. Dudley, published by “The News and Times” in 1900. The 10th anniversary edition of “The County Record,” published in May of 1900 by A.L. Woods. The 50th anniversary edition of the “Walsh County Record” and Court House Dedication published in 1940. The Potato Editions, special publications of the Grafton News and Times between the years 1937 to 1942. 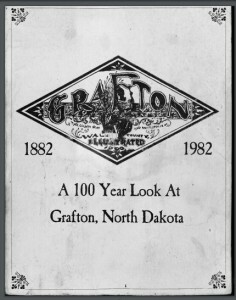 The 75th anniversary edition of “The City of Grafton,” published by the Walsh County Record in 1953. 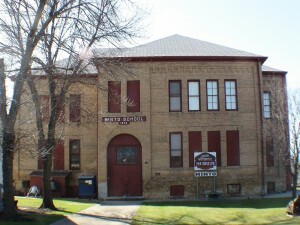 “Walsh Heritage,” four volumes published by the Walsh County Historical Society in 1976 and 1981. “The Grafton News” published in Grafton beginning September 22, 1881, by Frank Winship. “The Walsh County Times,” published by H.C. Upham beginning May 31, 1882. “The Grafton Herald,” published by J.T. Duffy and G.C. Judson beginning February 14, 1885. “The Walsh County Record” (later the “Grafton Record”) beginning April 2, 1890, A.L. Woods and Edward Pierce publishers. 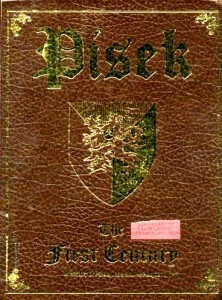 “Pisek – the First Century: A History of Pisek, ND and Its People,” was published in 1982 to commemorate the 100th anniversary of Pisek. It contains 326 pages of town and family history, and has hundreds of photographs and historical records. It takes you back to the formation and early days of the town. This book is a rare find for genealogists, historians or anyone with an interest in Pisek, Walsh County or the history of Czechs and Slovaks in America.